Laurel Keeley Ceramics. My ceramics stand between Craft and Art. I have a B.A. Honours in English and American Arts from Exeter University and an M.A. in Commonwealth Literature from York University, Toronto, Canada. It was while working on a PhD. 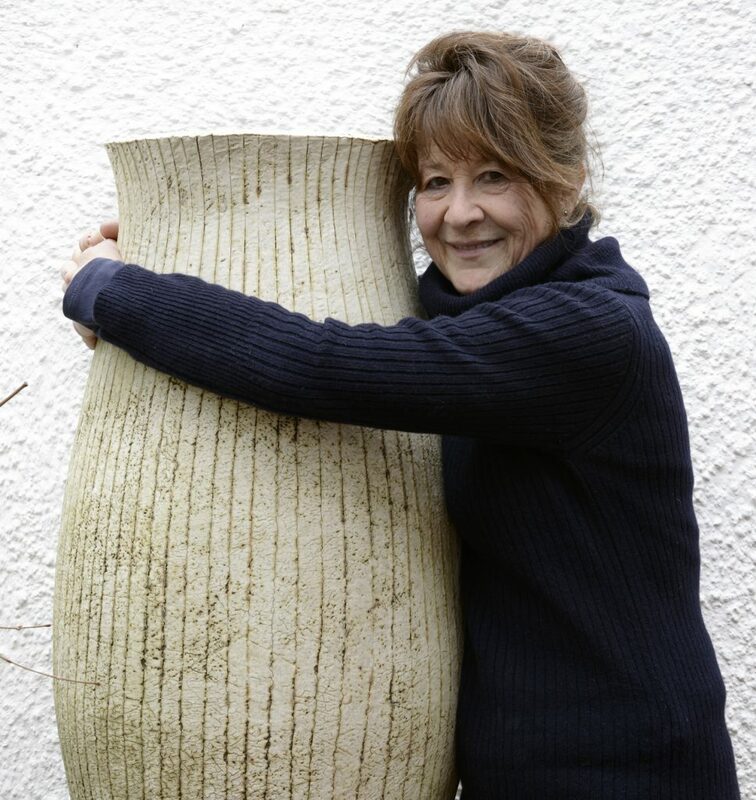 In American Literature that I finally transferred to Exeter College of Art and Design to pursue Vocational Ceramics, an affair of the heart with clay and pots that had endured since childhood. 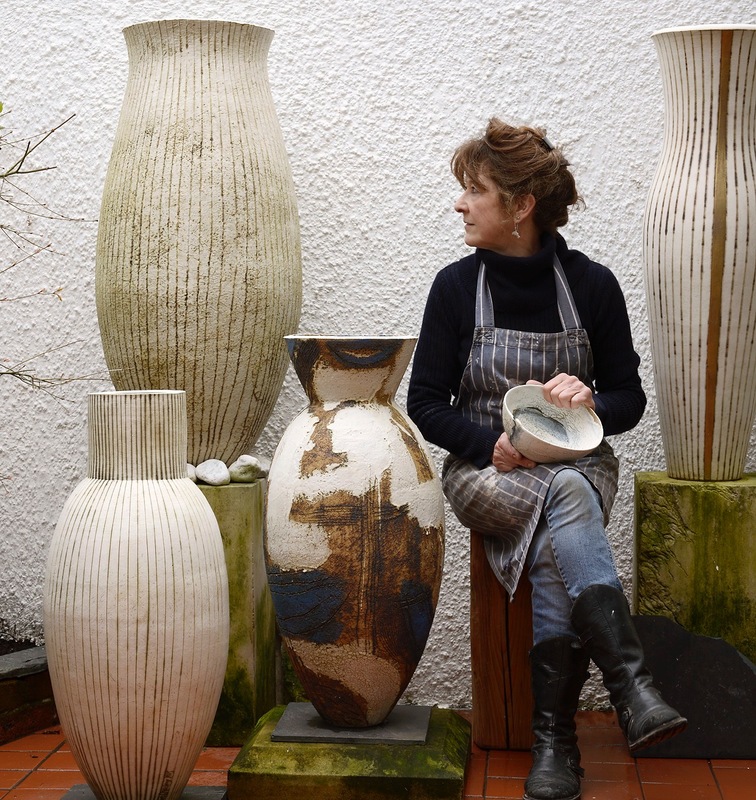 The first Pottery was established in Devon in 1977 with a British Crafts Council New Craftsmen’s Award, since when my work has been continuously exhibited and sold throughout Britain. An Arts Council of Great Britain Major Award in 2003, enabled further professional development into Etching and Stone Carving. I hand build sculptural forms and throw pots on the wheel. I sell through selected Galleries in the UK, but I also work to commission; ceramic pieces can be made exclusively for clients and their homes. 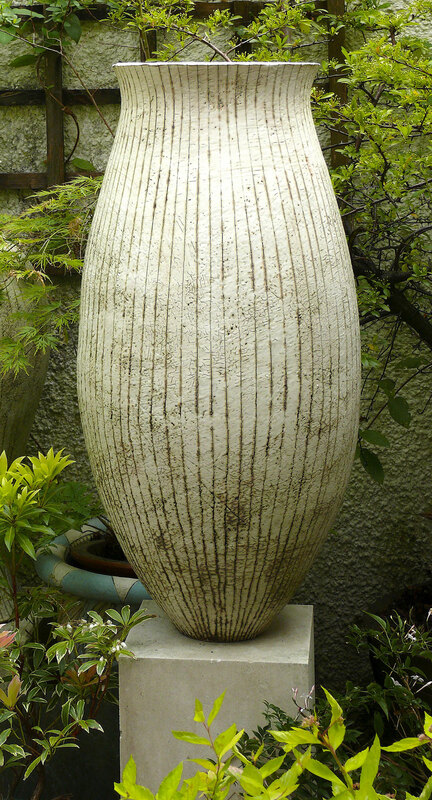 I teach students individually at my studio; my ceramics courses are held at Coombe Farm Studios, Dittisham, Devon. My ceramics are calm, beautiful and distinctive. 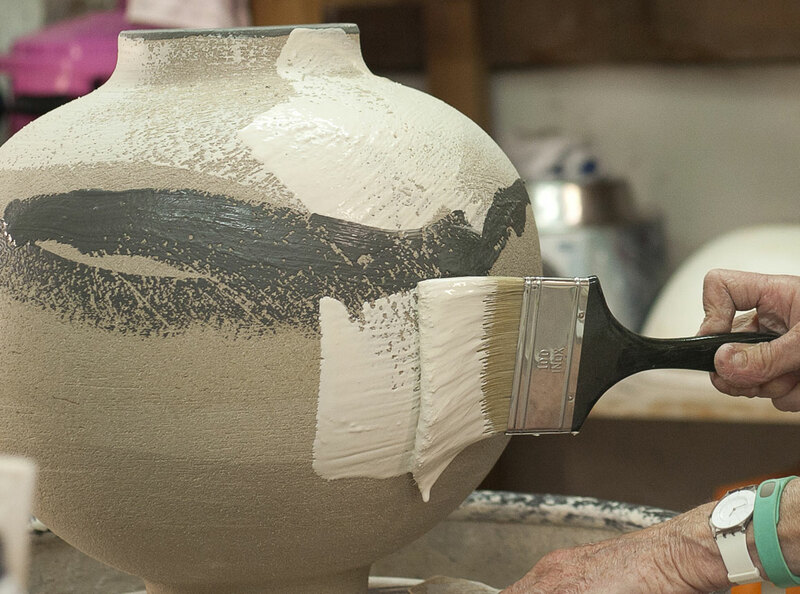 "I’ve been fascinated by ceramics for a lifetime. I walk with dogs, I swim in the sea and rivers, and I have loved working with clay since I found it red and sticky in a stream edge as a child. My ceramics explore this world of my experience. I make forms from soft clay, encourage the shapes to shift as they begin to dry, and then finish the surfaces with layers of liquid clay slips. Fired high in a kiln to the permanence of stone, these pots sometimes carry the flash of gold of sun on the sea, or the glimpse of light on a fish back. Sometimes they are simply the shape and surface of the stone itself. The scale of my work ranges from tiny pieces that fit in the palm of the hand, to coil and slab built forms up to a metre high."